Articles belonging to British tourist last seen in north of Israel in November found in southern desert region. Israeli police said Tuesday they have found sheets of paper with prayers in the country's desert south believed to belong to a British tourist missing since November. 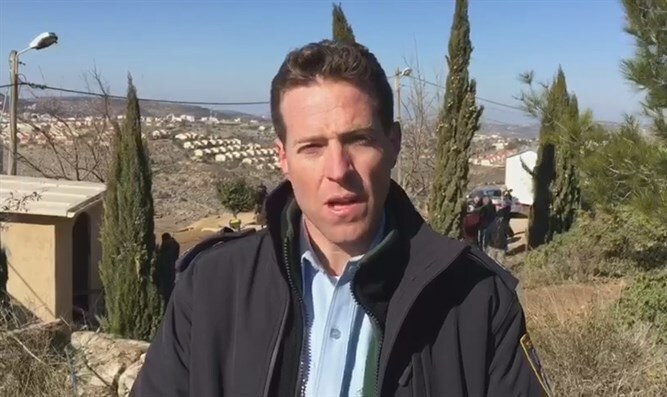 Police spokesman Micky Rosenfeld told AFP that Oliver McAfee, 29, had been last sighted in northern Israel. But some of his belongings, including his bicycle, were found in the Negev desert near the southern town of Mitzpe Ramon, which stands at the edge of the world's largest erosion crater. Rosenfeld said Christian religious passages belonging to McAfee, who is originally from Northern Ireland but resident in England, were also discovered. "Pieces of paper, with prayers, etcetera, were found in the desert," Rosenfeld said, adding they had been placed under stones arranged in circles. "We know 100 percent that they belong to him, including the bike, including papers that he had written on, his camera." London's Daily Telegraph newspaper reported on Tuesday that McAfee had a history of depression and may possibly have fallen victim to Jerusalem Syndrome, the name given to the religious fervor and emotional overload experienced by some visitors to the holy land. "We haven't ruled that out but that's not the main line of the investigation," Rosenfeld said. "Other than a missing person case, it's not clear," he added. "We are continuing to look for him." British police in the county of Essex, where McAfee lives, said he was reported to them on December 24 as believed to be missing in Israel. Raz Arbel, a member of the civilian Negev Highlands Search and Rescue Team which discovered McAfee's belongings, said he was clearly a spiritual man. "We found a lot of (passages) from the Old Testament and the New," he told AFP. "I'm not a psychologist but it looked like the person was having deep thoughts and very religious," he said. "It looked like he was speaking to his spirit and his God. That's what we found on his photos, because we found his camera and all the information on the camera." He said that one picture, dated November 19, showed him at a road junction in the Negev and searchers were appealing through local media for witnesses who may have seen him after that date. Arbel said the volunteer team had suspended its search pending new clues. A spokesman for the British foreign office said it was "assisting the family of a British man who has been reporting missing in Israel, and are in contact with the Israeli authorities".